The world's first medical treatment & research institute for lymphedema. The International Center for lymphedema has been established as a university medical treatment center specialized in lymphedema treatment for the first time in the world, accepting Dr. Isao Koshima as a Professor, the Former Professor for the Department of Plastic and Reconstructive Surgery, in April 2017. Lymphedema was considered as a progressive and incurable disease, establishment of research on treatment was remarkably delayed. 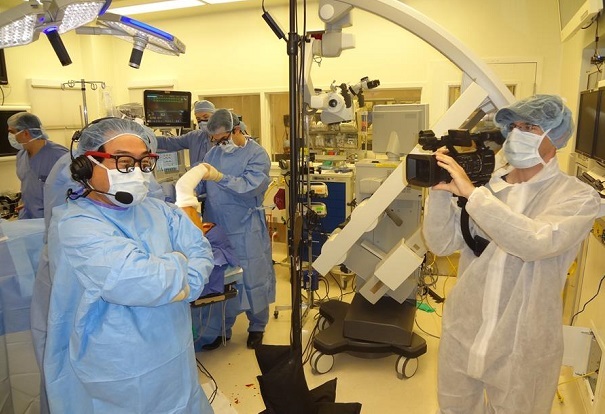 However, Dr. Koshima introduced a lymphatic venular anastomosis(LVA) as a treatment method. Since then, His passion, following the development of devices and technique, the fostering successors, the dissemination to the world, the development of clinical fundamental research has gradually moved the world, and now, it is gradually has being recognized that lymphedema is curable or preventable. 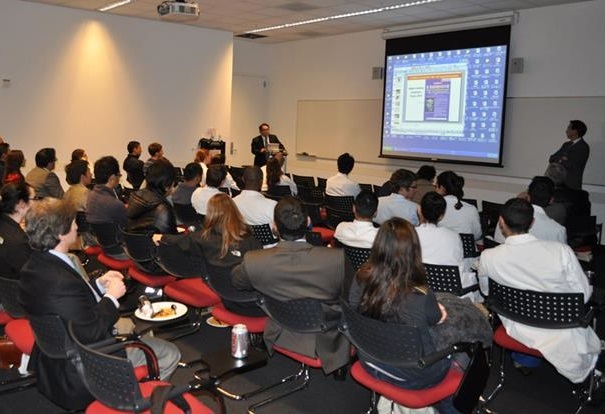 Many surgeons and students are constantly visiting from overseas as well, wanting to learn supermicrosurgery, LVA. Our institute, which is positioned at the center of this global movement, has been established with the passion of President Ochi with the mission of leading the world. Lymphedema is considered as progressive, and conservative therapy(massage, compression) and surgical treatment(Tissue excision, direct or indirect lymphatic guidance surgery), etc. have been done, but it has been considered difficult to prevent and improve remarkably for long period. However, since about 1990, super microsurgery has become possible, as new developments and improvements of surgical instruments and diagnostic equipment have progressed, a less invasive and more accurate new LVA has been performed. LVA has been accumulated over 2,000 cases (upper limb lymphedema 300 cases, lower limbs 1,700 cases) since 1990. As a result, improvement and complete cure are being obtained in mild cases, and treatment of severe cases is being established by combined surgical treatment including functional lymphatic vessel transplantation. Moreover,it has become possible to diagnose latent edema with ICG fluorescence imaging method since 2007, and it is becoming possible to prevent edema in the early stage from progression including the pelvic lymph cysts and radiation irradiation group. In addition, the concept of lethal lymphedema including neonatal chylothorax ascites and childen’s primary lower limb lymphedema is proposed and , the effectiveness of the early LVA has been confirmed. 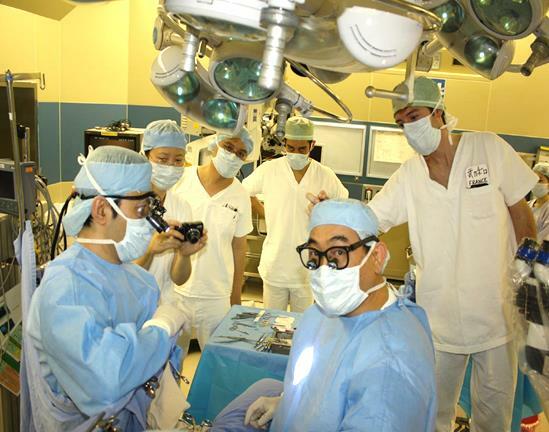 Treatment of lymphedema in the world has been overwhelmingly lead by Japan both clinical and research, and a mechanism of lymphedema occurrence and LVA and lymph vessel transplantation have been demonstrated in micro surgical live surgery workshops overseas since around 2000. 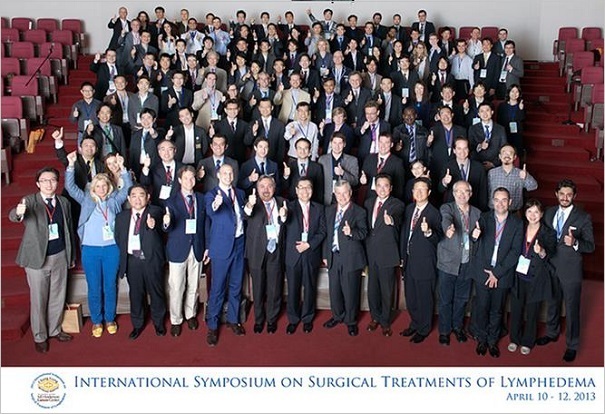 As a result, the International Lymphatic Surgery Treatment Association has been established recently following the international lymphatic association to educate worldwide the surgical treatment. Surgical treatment for lymphedema originated from Japan is becoming a major trend in the world. From now on Hiroshima will become the center of this movement.